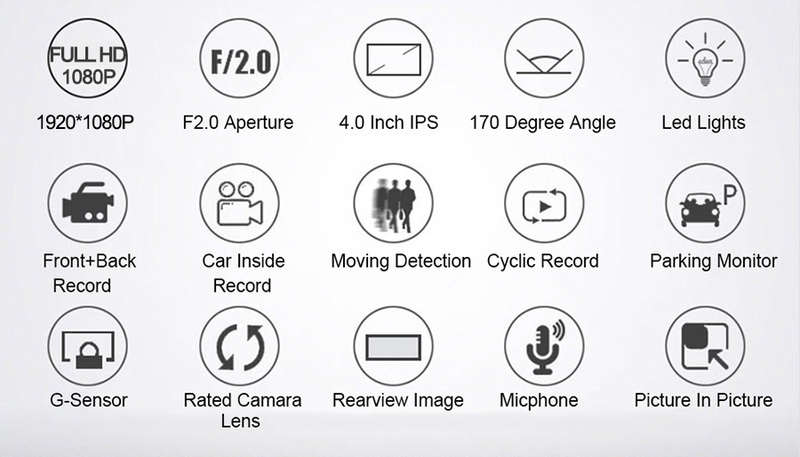 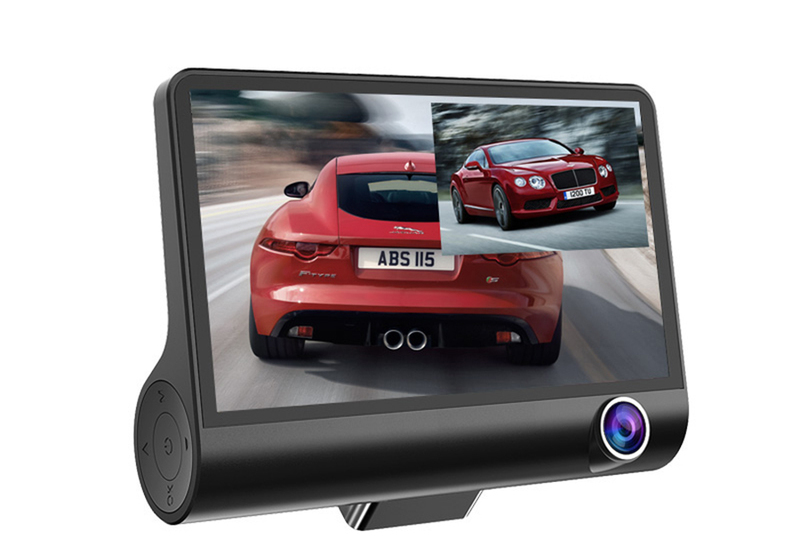 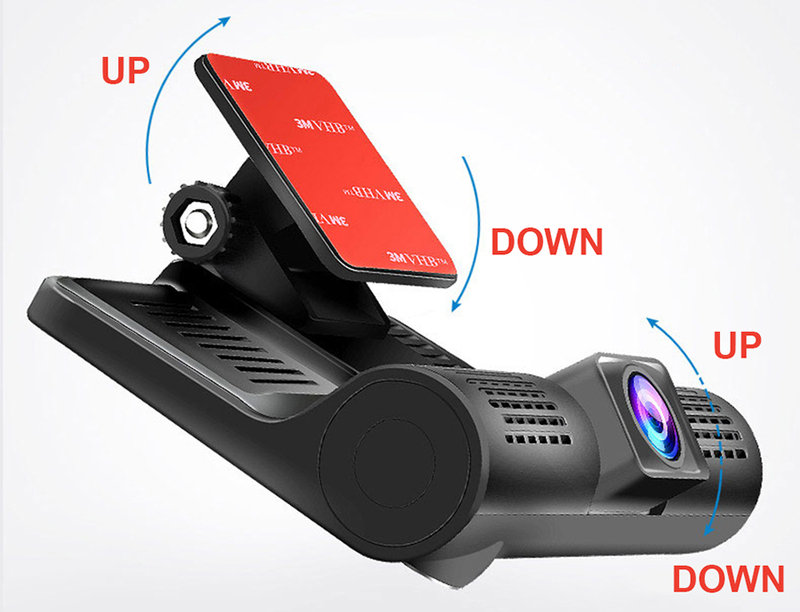 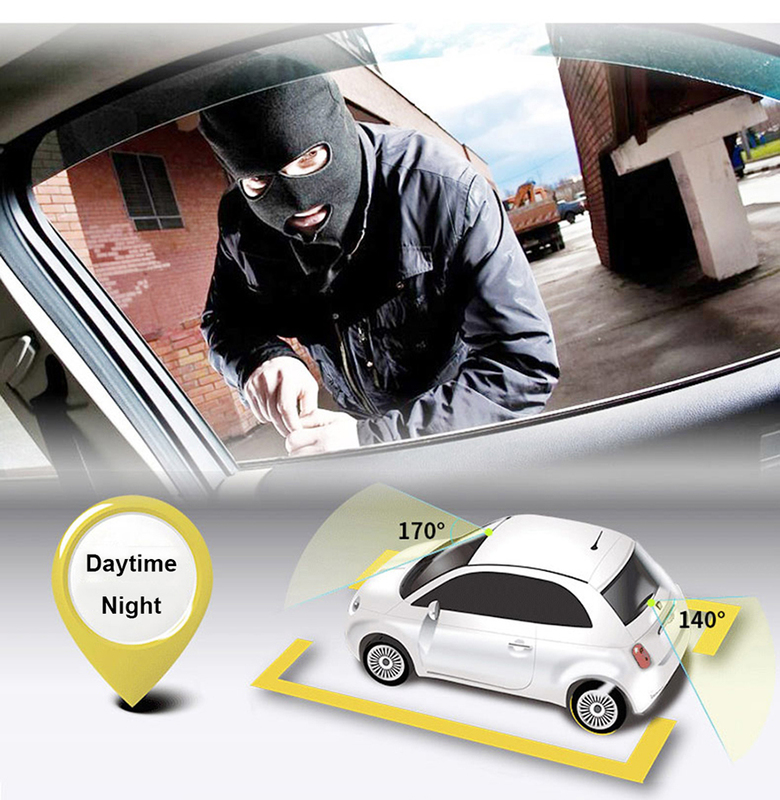 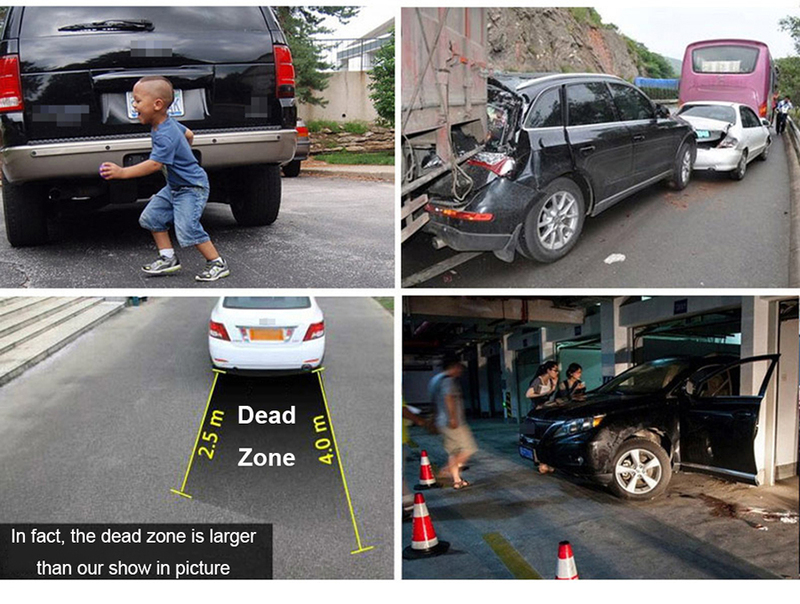 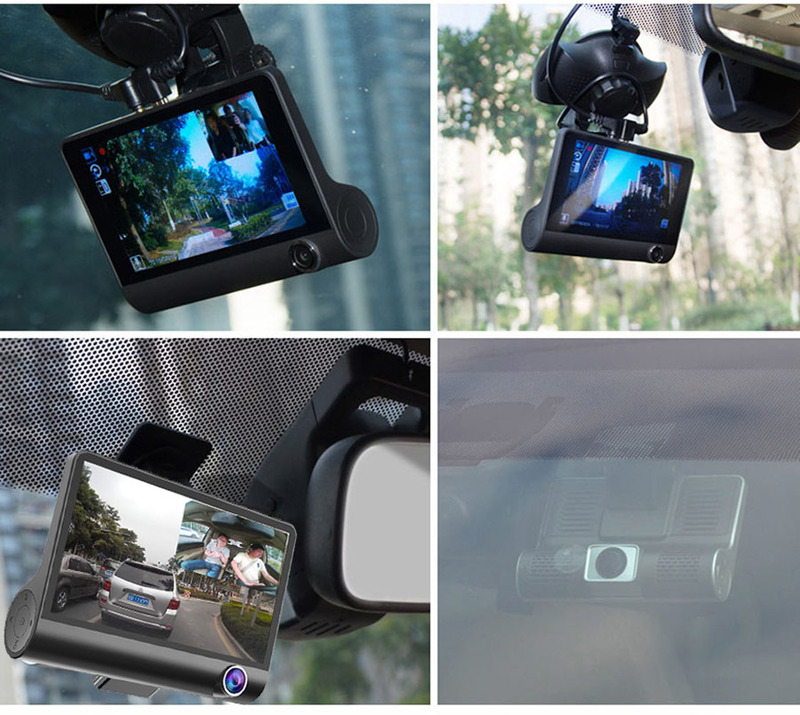 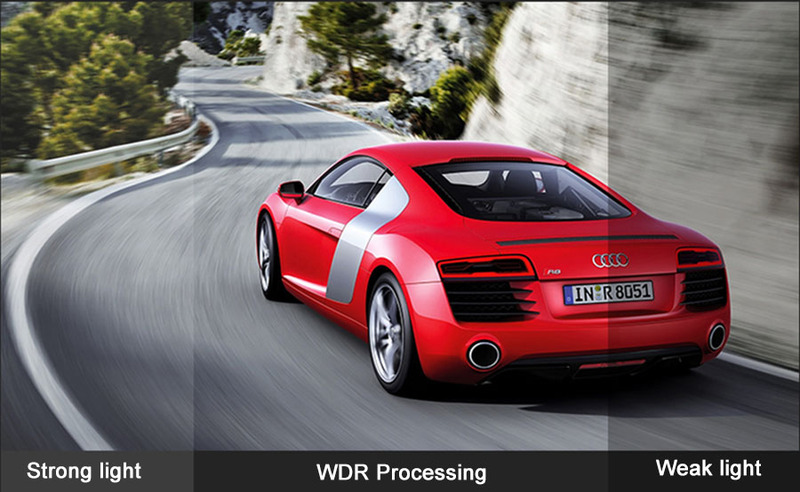 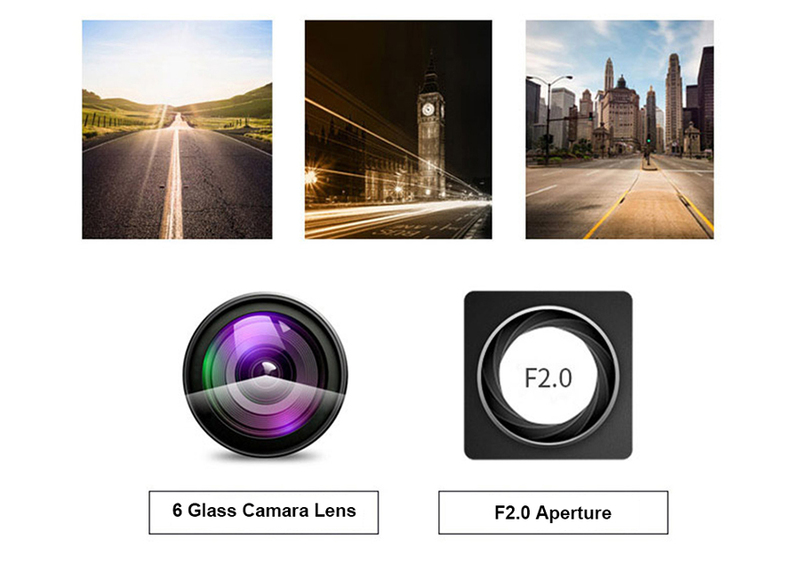 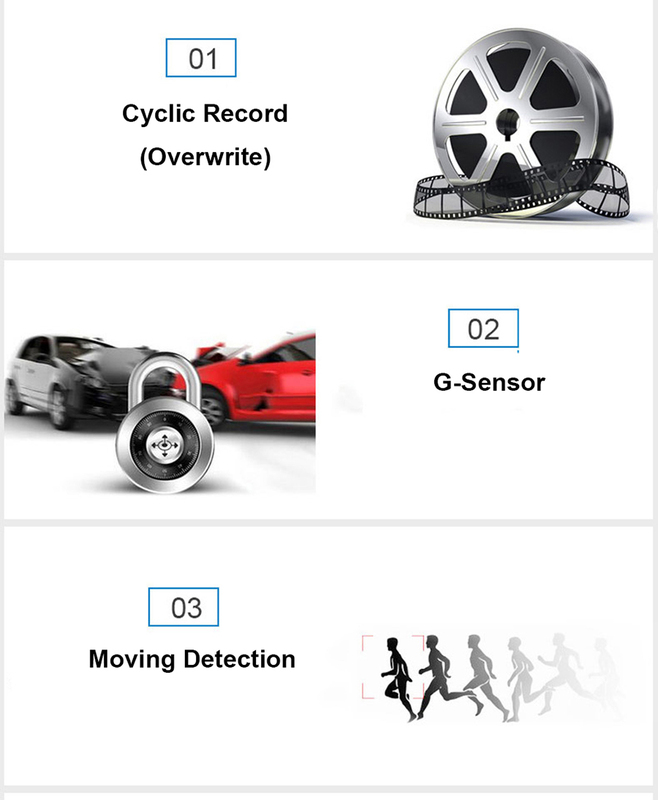 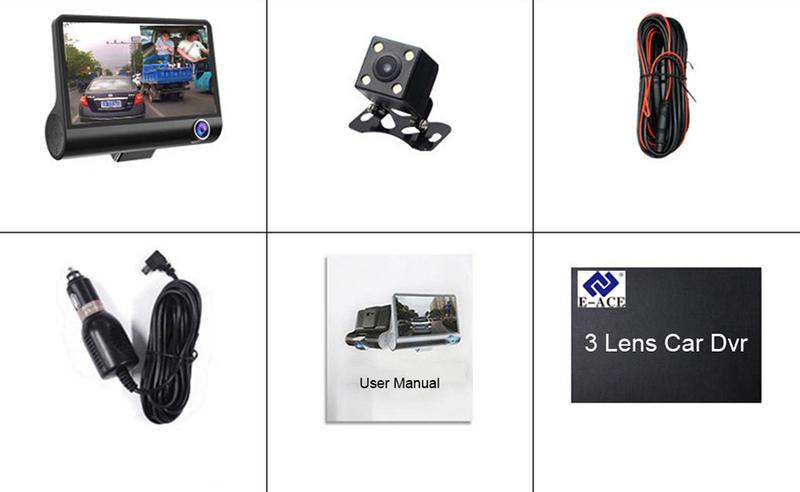 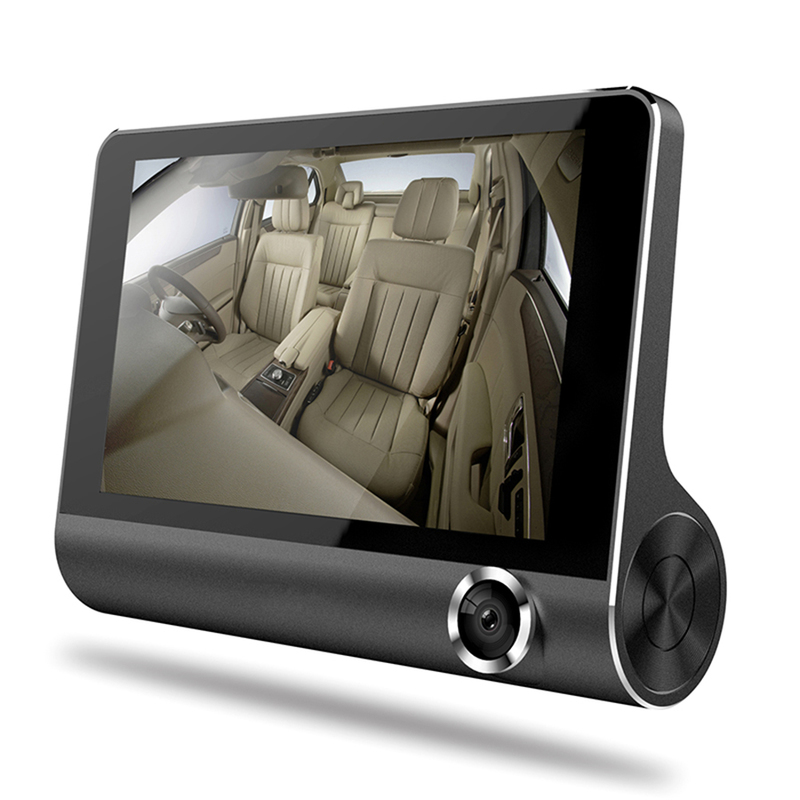 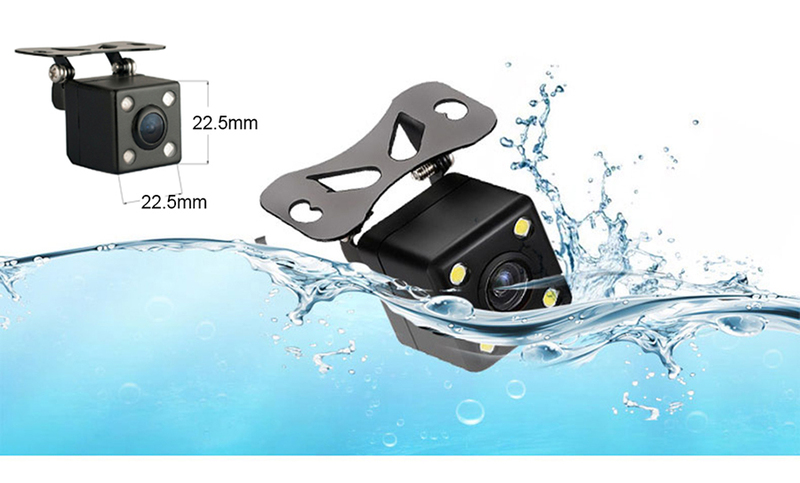 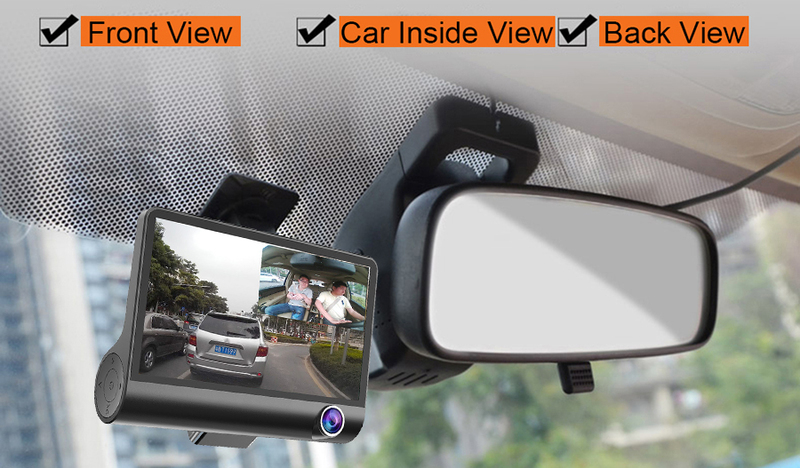 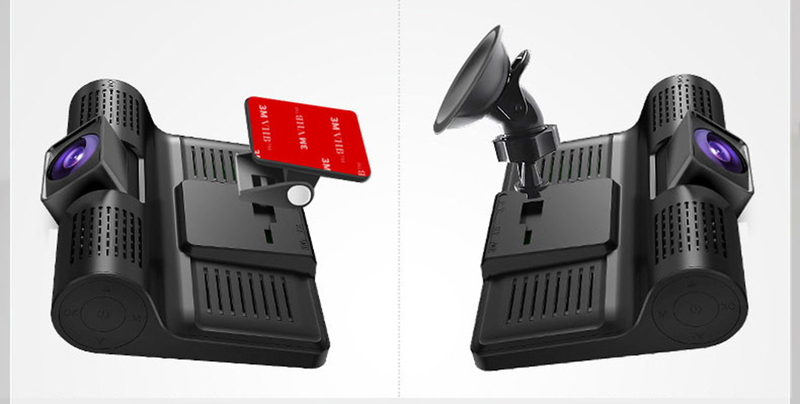 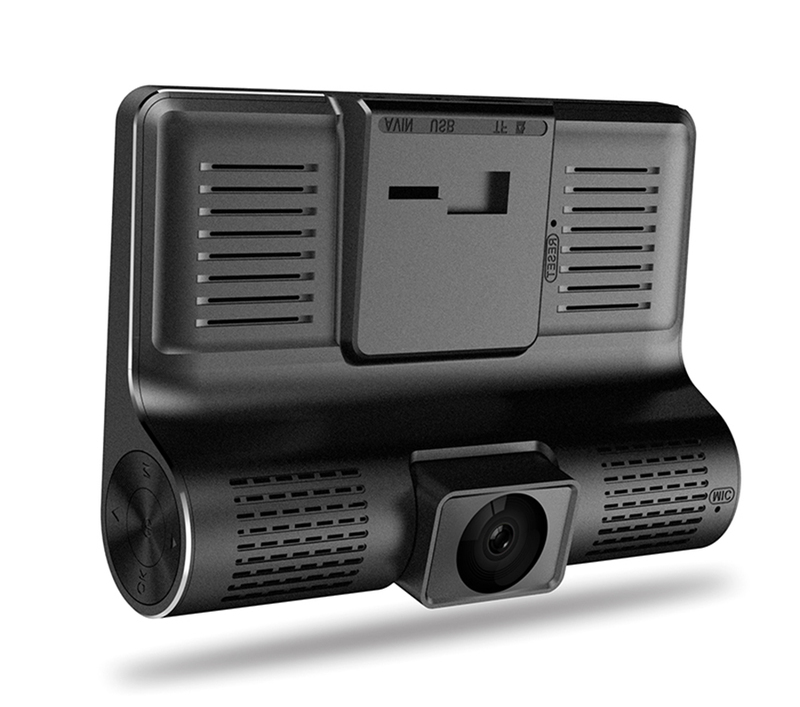 2.Our Car DVR is FHD 1080P Video Recorder requires high quality TF Card. 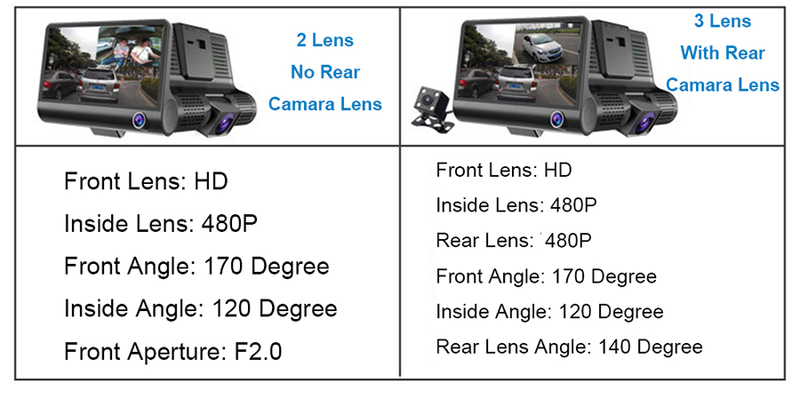 Our DVRs could not function well with any low quality/low speed TF cards. 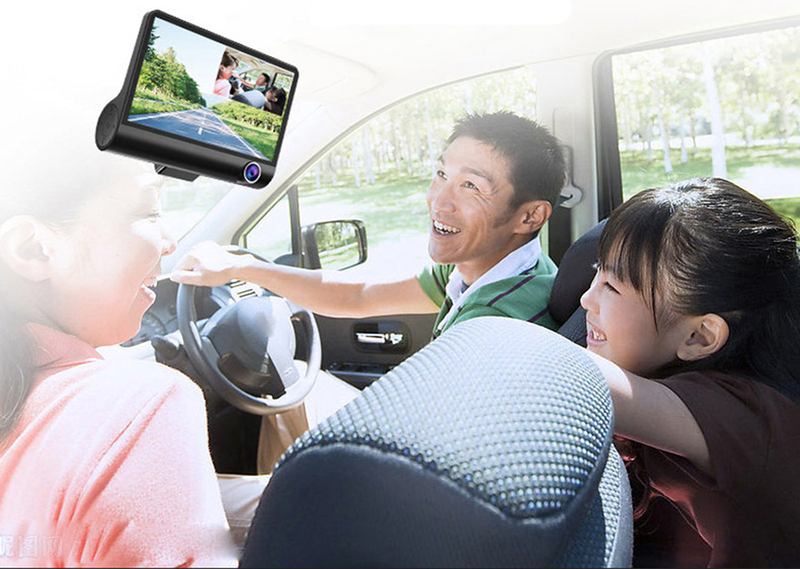 Don't forget to record all happy videos when you are travelling with family. 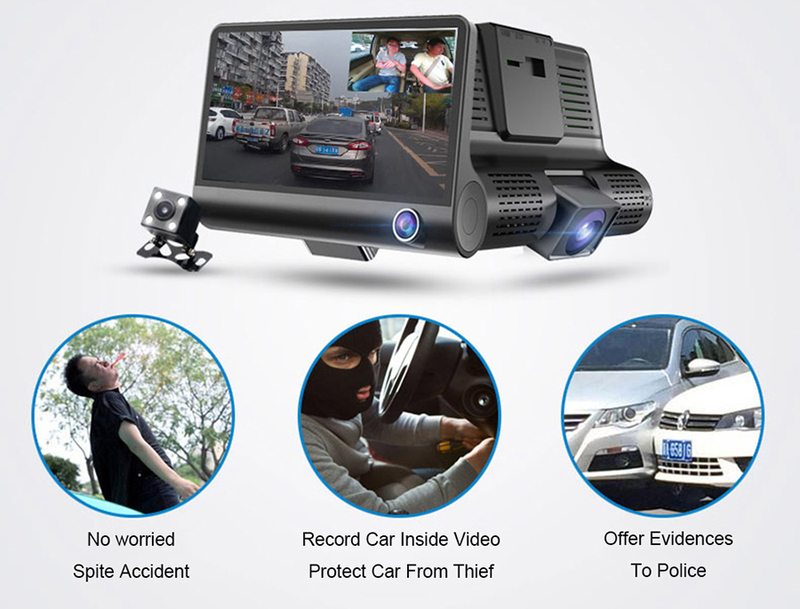 Do you worried the problem ? 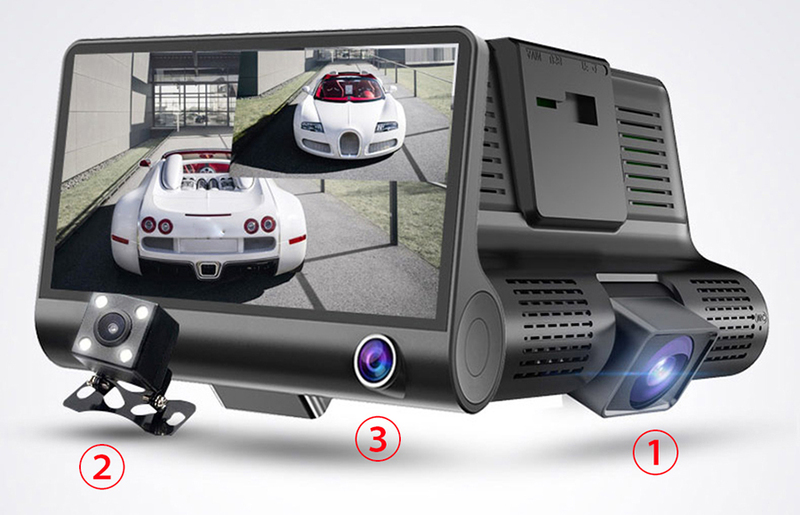 Rear Camera Lens has 4 LED lights and the cable is 6 meters . 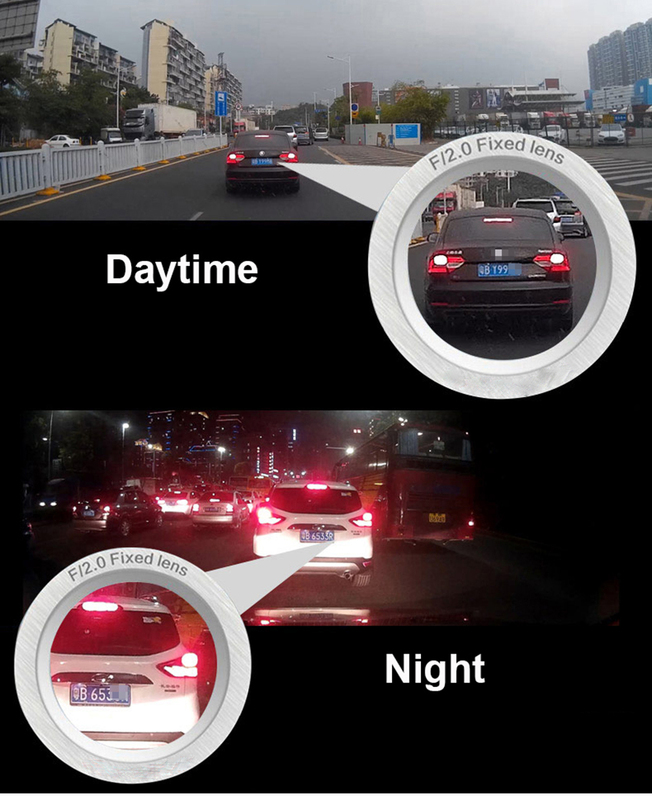 It has low light sensitivity and Wide Dynamic Range (WDR) mode, giving it exceptional performance even in dim environments. 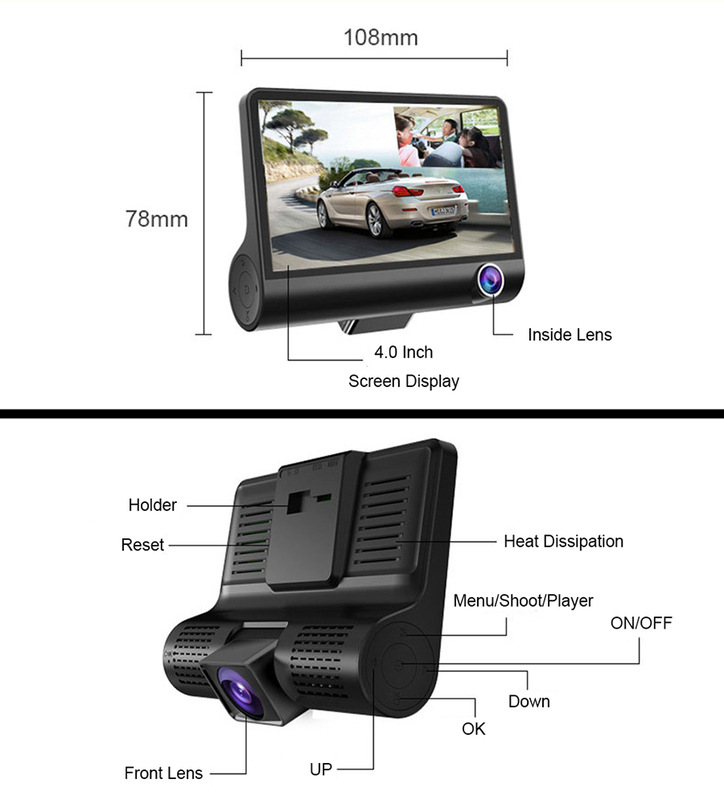 Different batch products may have different holders, thanks for your understanding. 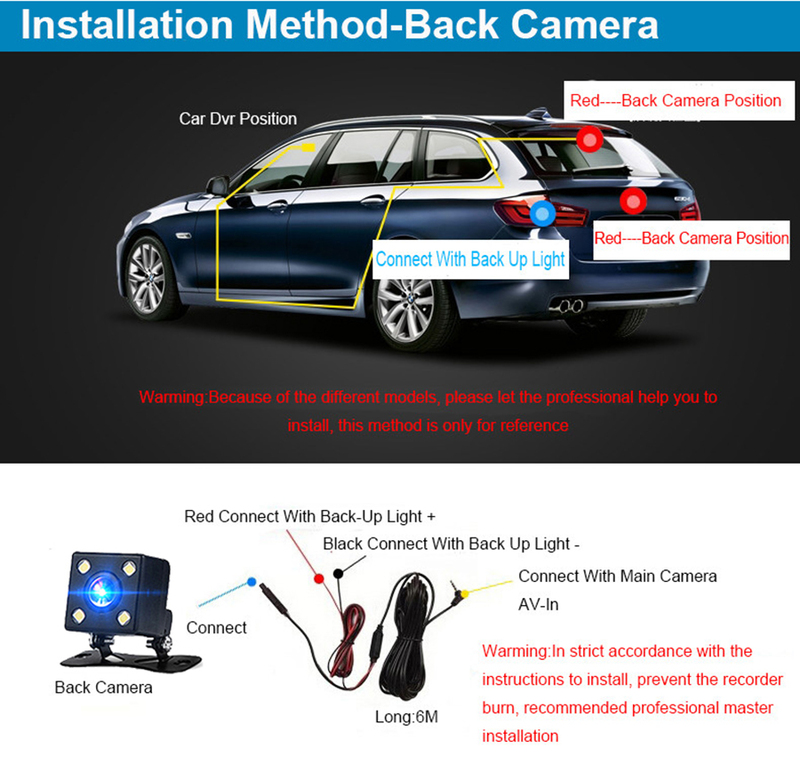 Please connect the rear camera's Red cable wire with your car reverse lamp power 's Positive pole(+).